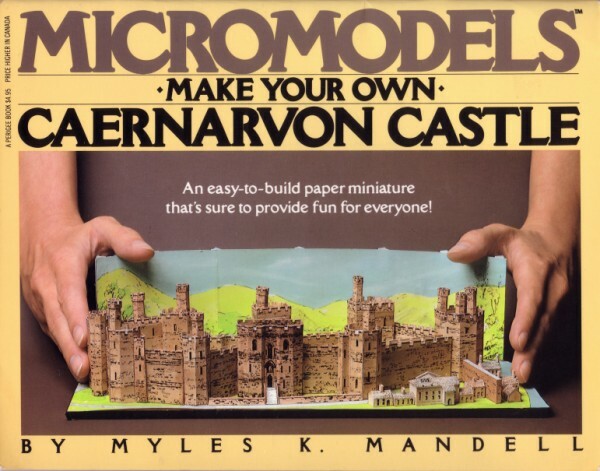 Description The Caernarvon Castle was never issued by Micromodels. The set would have cost 2/6d. In the surviving Micromodels Archive, the wrapper and model artwork is nearly complete. It would only need minor finishing and colouring to produce a production model. The wrapper is marked ARC XXIX. For some unknown reason the wrapper artwork for ARC VIII Old Ludgate and ARC XI Temple Bar is also marked ARC XXIX. 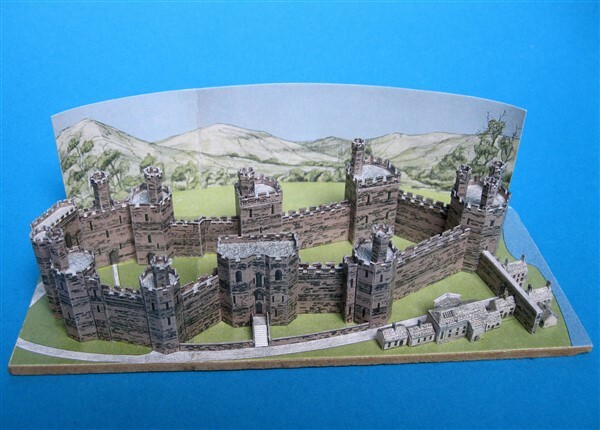 Myles Mandell issued the Caernarvon Castle in the early 1980s as part of his Perigree cut-out book series. 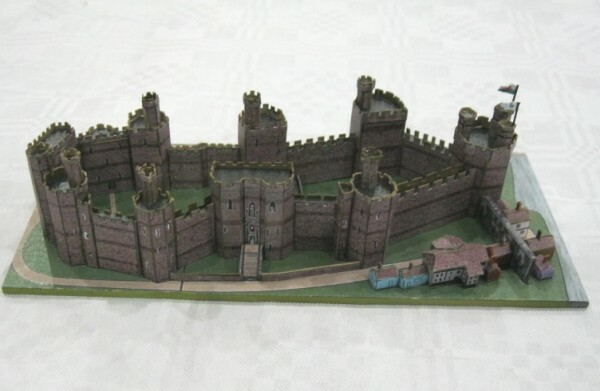 The model is basically the Micromodels Caernarvon Castle, but it is scaled up approximately 2x. It was completely redrawn, and features were added such as detailed instructions and planagraphs. This made it easier for the novice modeller. 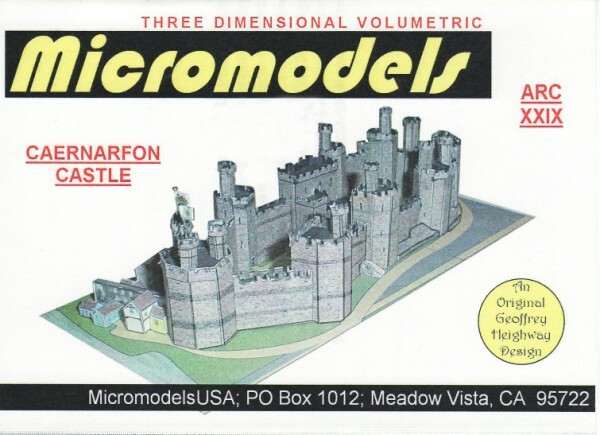 MicromodelsUSA has issued a version named Caernarfon Castle, in the Micromodels scale. The Mandell model shown below is scaled down 50% to get the Micromodels scale.